While cookers, fridges, and, maybe, sinks are similar in many kitchens, individual tastes can create the kitchen cabinetry in as many styles as possible. The magic word that leads to this plethora of styles is contrasting. A kitchen cabinet consists of a body, front, and worktop. Let the relation between these three parts be contrastive in terms of coloring, patterning, and materials. The best material that gives you as many patterns and colors as possible is granite, so it makes a popular use in kitchen worktops. 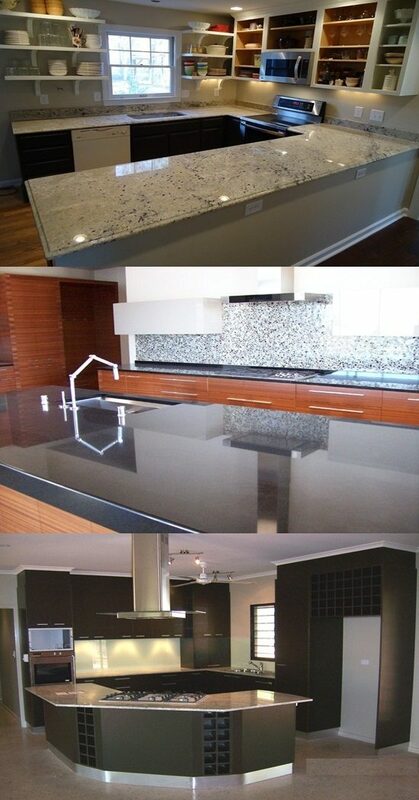 Now, let’s tell you how to design your granite worktop in the context of the whole kitchen cabinetry. As for patterning, there is a sweeping trend towards the contemporary kitchen that restores the retro feel of curving. You can curve the fronts of drawer units, ends of kitchen islands, and handles of all your drawers. To get a whole retro feel, you can get curved worktops and islands in contrast with linear cabinets. This curving will put your cabinetry on the spot and make the kitchen look bigger. Another style of curving is the bi-level worktops where the lower style has straight edges, in contrast with the curved edges of the top layer. This contrastive curving makes your kitchen look modern. Then, make your kitchen cabinetry attractive by using contrastive coloring. To illustrate, you can use the bold dark wood for the body of cabinetry, high gloss white for the doors, and light Kashmir White for the worktops blended with reddish brown spots. Such majority of darkness fits big kitchens that have enough spaces and let in the sunlight. But, if your kitchen has a modest space, get subtle wood units with white gloss doors, contrasting them with granite worktops in Tan Brown to give a warm atmosphere. Alternatively, you can get the slightly mottled Black Pearl worktop or the sparkling Black Galaxy. Such black is the best as it spares you the monotonous efforts required for cleaning the Nero Assoluto worktop which loses its elegance once exposed to any dust or fingerprints. Similarly, light granite worktops need nonstop cleaning to look attractive while the mid-tone granite like the steel gray save you this suffering. Finally, if your worktop needs joins, get away from striated granite that shows them up. 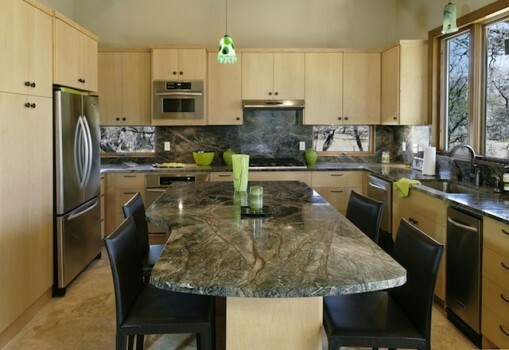 Thus, you should adapt the kitchen cabinetry style according to your personal considerations.